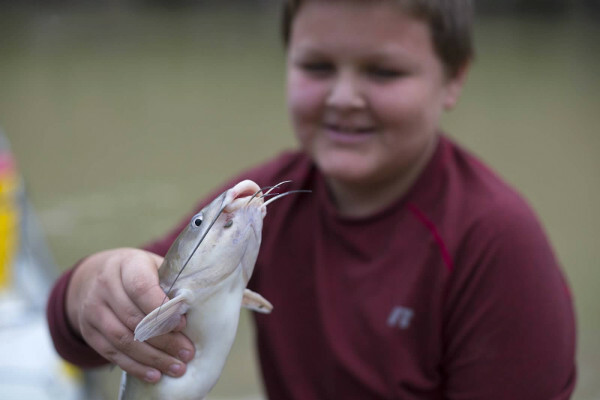 At Holiday River Expeditions, we understand the importance of getting our youth outdoors. 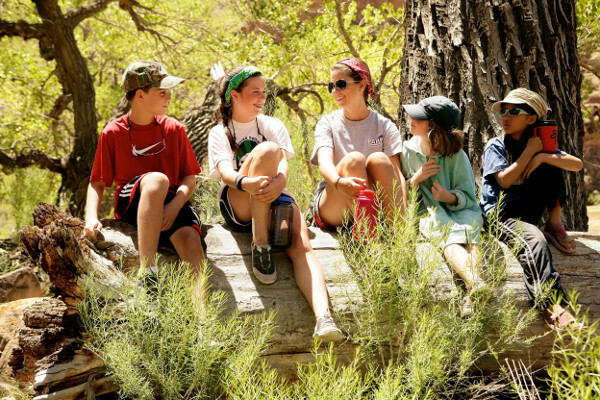 Youth adventure expeditions, scouting trips, and church groups are an important segment of our operation. They will experience excitement and camaraderie as your youth run the rapids with our professional guides, who understand the nature of the journey. 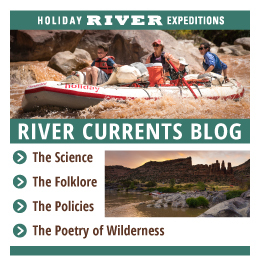 Plan your next youth adventure with Holiday River Expeditions, our youth group river rafting trips featuring UT and CO are great adventures to be had. Join us for an experience that will help build in the creativity and autonomy children need to tackle the world when they return home! This section of the Green River runs through Gray Canyon which is the last day of our 5-day Desolation Canyon trip. Fun Class I to II rapids will be encountered on this 8 mile stretch. More of a Wilderness canyon, this pristine section of the Green allows viewing of petroglyphs and is home to the occasional bighorn sheep, birds of prey and migratory birds. 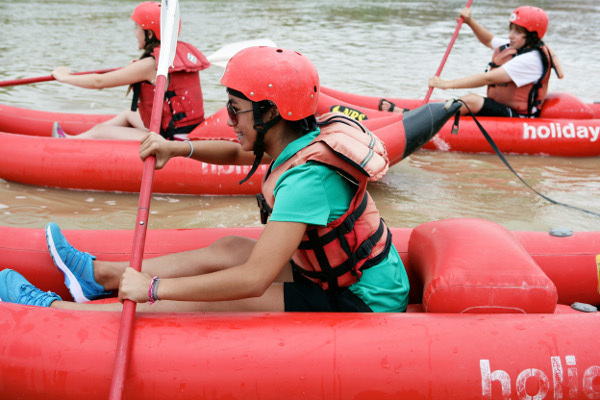 This trip is perfect for floating, kayaking, paddling and water play. Children of almost all ages welcome! The Colorado River daily stretch is a 14 mile section of our Fisher Towers trip outlined above. This is a popular choice for Scout groups, Church youth groups and adult groups looking to get their feet wet river rafting. Just outside of Moab, Utah for easy access. 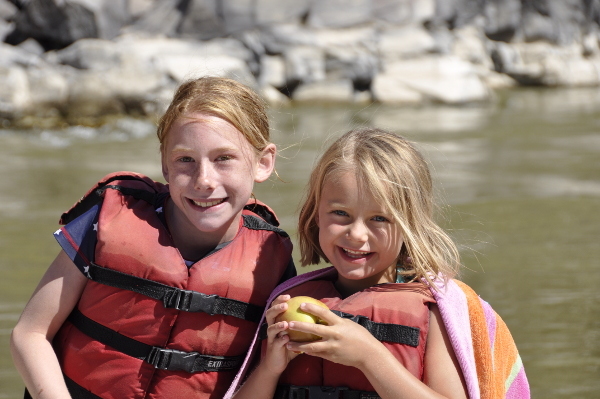 You will spend a day playing on the river, and then lunch will be served within sight of the 12,000 LaSal Mountains and Fisher Towers formations. 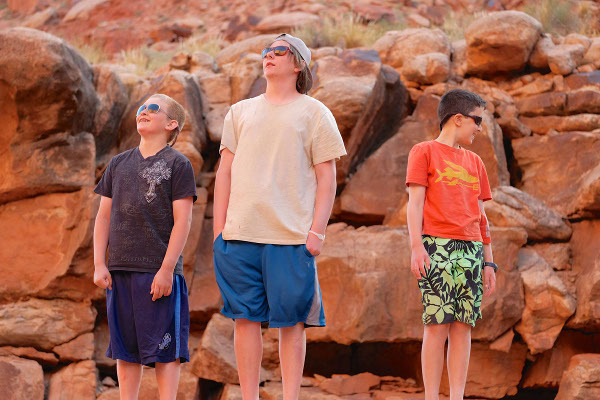 This canyon is the perfect location for Youth Groups, where kids of all ages will enjoy the beauty of colorful canyon walls and natural rock sculptures created by Mother Nature. Many of the rapids on the Green River through Desolation Canyon are perfectly suited for young hands to get in the ‘driver’s’ seat in an inflatable kayak or stand-up paddleboard. 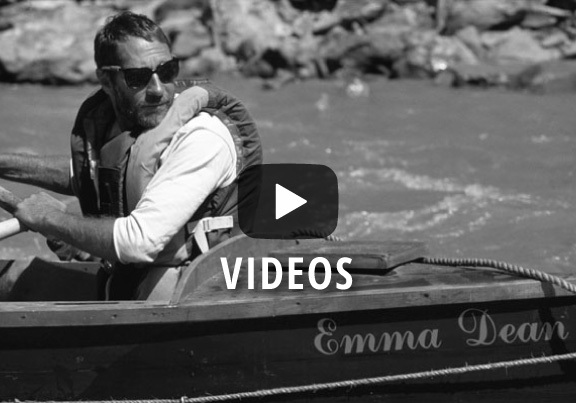 With nearly 60 exhilarating rapids, they will have plenty of time to get into their own unique rhythm with the river. 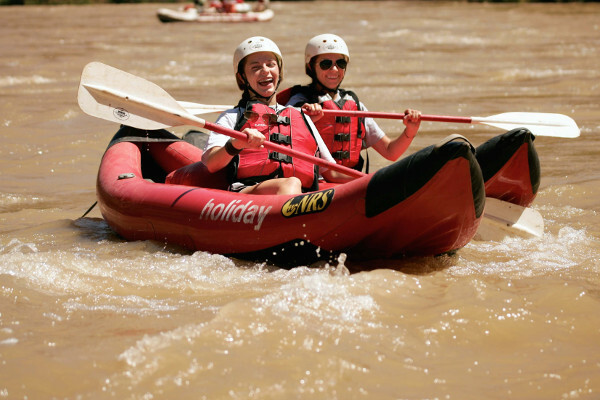 The San Juan River offers panoramic vistas and fast-moving white water rapids. 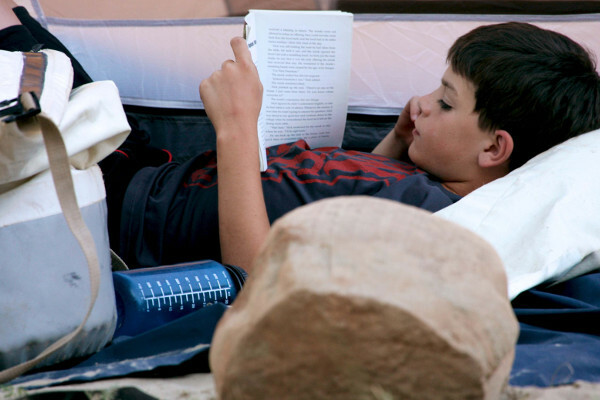 This is a great 3, 4 or 5 day rafting trip for your youth group. With numerous warm-water rapids and polished limestone swimming pools, the San Juan River delivers an unforgettable experience. 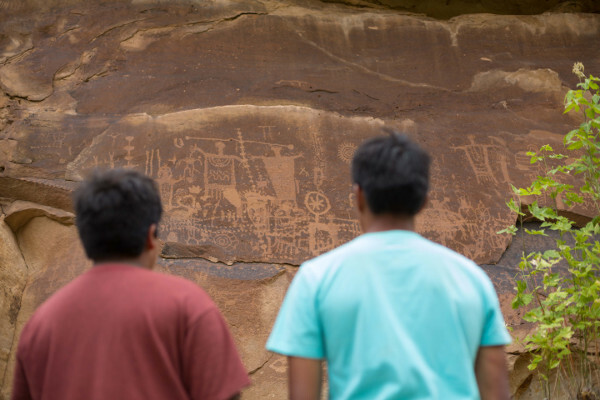 This white water rafting trip takes us through unique Pueblo Indian dwellings, where we will view ruins and petroglyphs left by ancient civilizations. 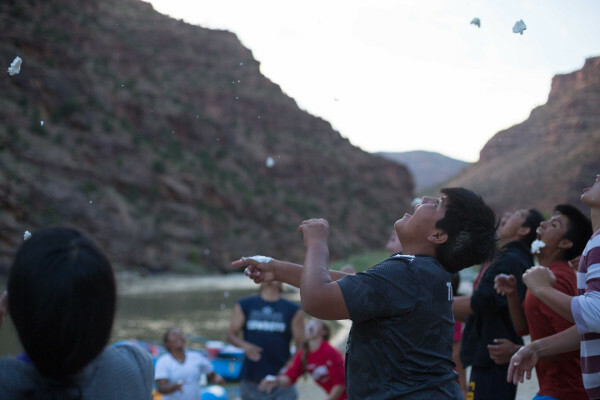 From the diverse animal and plant life to the extraordinary geological features, the San Juan River is always a favorite whitewater vacation for youth. This section of Colorado River Rafting is characterized by towering red sandstone monoliths set against the LaSal Mountains. With such classic red rock desert beauty, this trip offers a spectacular setting for river runners and over the past several years has been the backdrop for many Hollywood movie productions. 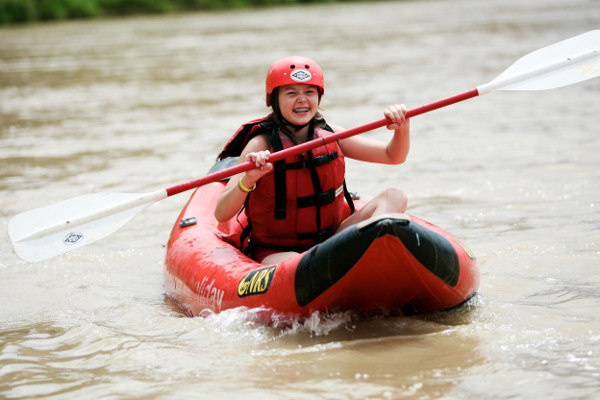 Fun class I to II rapids appear on the Colorado making it the perfect section for youth groups to play in paddle boats and inflatable kayaks. Minutes outside of Moab, Utah!